Attunity will be presentingtheir award winning change data capture (CDC) products for SSIS. 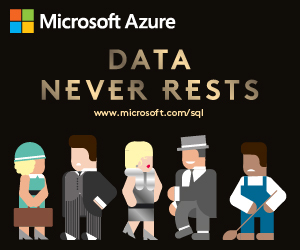 Now supportingOracle, DB2 zOS, DB2 iSeries, HP NonStop SQL/MP, HP OpenVMS RMS and SQL Server2000/2005/2008/R2 the CDC Suite for SSIS enables operational replication acrossheterogeneous systems and can dramatically reduce ETL load times. This session will discuss whatchange data capture is, why it's used, and will demonstrate how CDC processingcan be seamlessly integrated into SSIS.